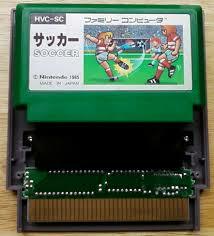 The Retro Sports Report is about highlighting the sports games that still hold up! A simple sports game at its finest. Ice Hockey has effective strategy by allowing you to customize your lineup of 4 players with small, medium and large sized players to choose from. Small guys are the fastest but get knocked down the easiest, large guys are the exact opposite, and of course medium guys are exactly in between. It may take you time to find which combination works best for you and that also may change over time or depend on who you are playing against. 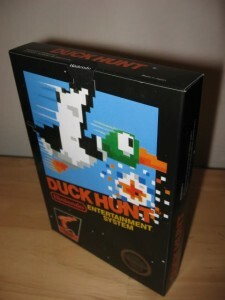 The other part of the game that allows you to control the difficulty is the Speed setting of 1 – 5 , at the highest setting (5) it makes even the large players move very quickly. 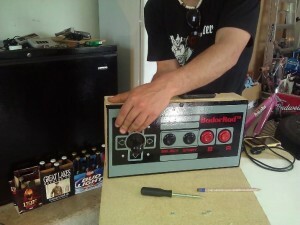 This came is great for highly competitive people who enjoy their retro gaming. The challenge of being able to control your goalie and the skaters at the same time provides fun gameplay for all ages and as everyone gets better raise the speed up and enjoy improving at a whole new pace. This game is best played 1v1 but can be enjoyed solo, but hopefully only to practice for the next time you have a group around to play! I rank games on a scale of 1-10, 10 being the game that is so great it will never actually be made. I forgot that I had played through this after never actually finishing it in at least 15 years. The Devil Man Reproduction now available for bids!! I’ve never read about this one. So I may be the first person to mention it. This is the 3 Screw version where Programmable is spelled correctly in the bottom corner. This is what I found on my copy after trying to remember what series these two were from, while talking to Mr. Crash Adams the night before. 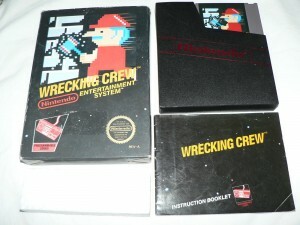 Wrecking Crew is on the left and the word Programmable is mis-spelled with on M.
Sticker seal is at the top of this Duck Hunt. Donkey Kong has the hang tab. 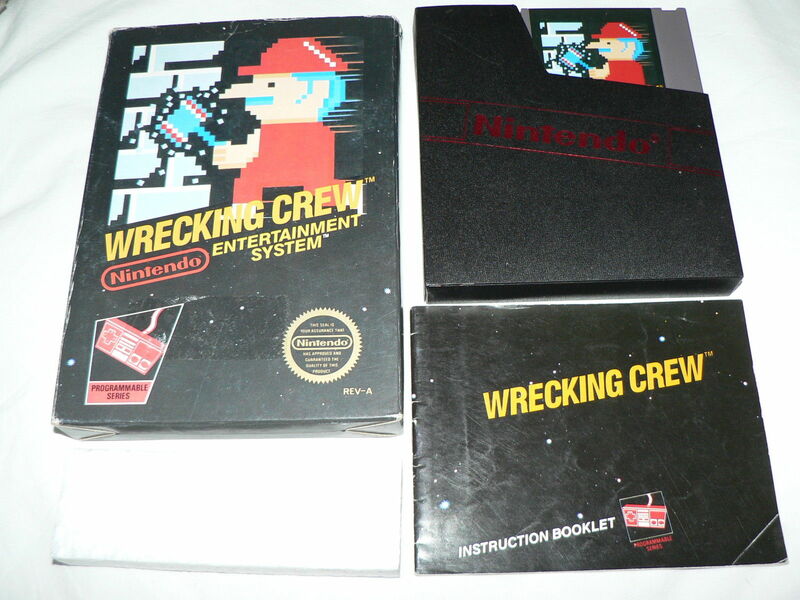 Just like my version of Wrecking Crew. There are other 5 screw releases with a different box that doesn’t have the hang tab, and also the 3 screw versions that weren’t in hang tab boxes either. These are the differences between the carts from 3 screw to 5 screw. Now I’m not sure if anyone has ever noticed this. I haven’t ever seen it listed on anything. So, If it has been seen or named. I’m repeating it, but if it hasn’t I’m claiming it here on my website. So, regardless some cool information for you collector’s out there that love variants. 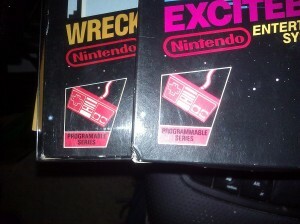 What Original Nintendo games have Famicom Converters in them? 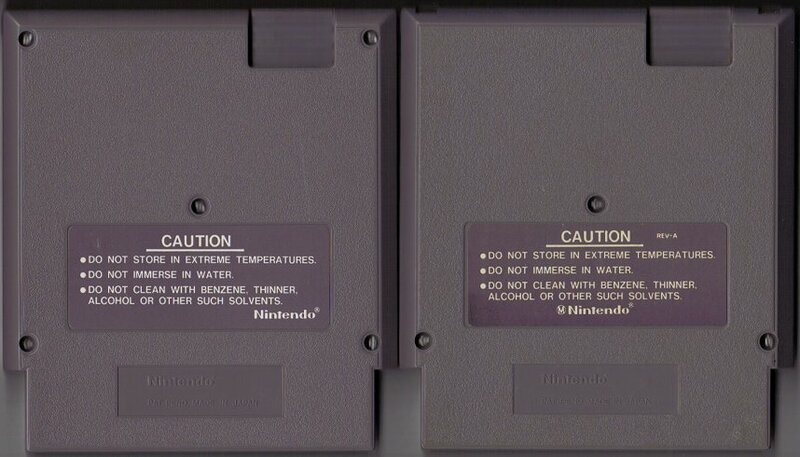 If you aren’t sure what to look for in your Nintendo games to find these. 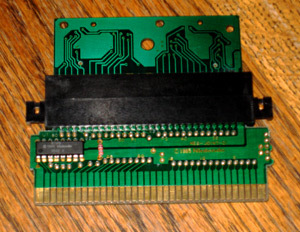 They only came out in the original prints of the games when Nintendo didn’t have enough time to produce enough 9 pin adapters. 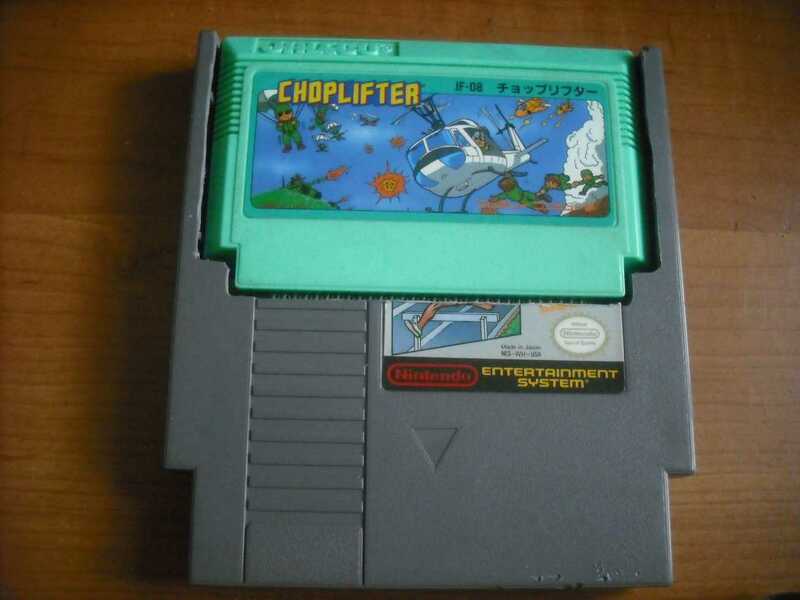 So the easier way for them at the time was to use converters with famicom boards. This is what you are looking for. 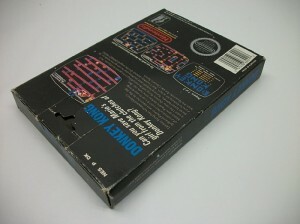 So, if you are out looking for them to complete your variants or to make some quick cash or trade money, you will need to look for flat tab top games with 5 screws in the back of the cart. 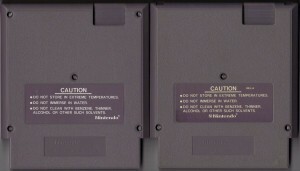 These are the differences between the carts. You need the 5 screw version. The only known games with them in them are these. This is an easy way to use it. Happy hunting and share with your pals. Well Travelling Dave had a fantastic Idea. The arcade sticks that are out for NES are kind of crappy, so we’re making one. Here is a video of it in use! And here it is with the overlay we had made. We will have more videos and photos up soon! And a price range if you want to have one made. Beat it or Die Trying Episode 66! Beat it or Die Trying Episode 65! Starring Travelling Dave, Jeff Moorman, and BrettoRad Prescott! I can’t really rate it as a game So this category doesn’t really apply. There isn’t really any game play. It’s an art studio. 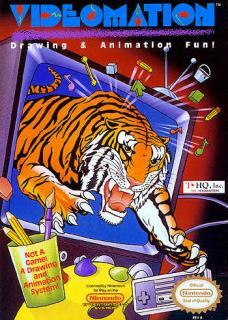 So if you didn’t have a computer at the time with the program MS-PAINT or any other variant, Videomation could have been a fun choice. It has several options of things you can do with it, and a small amount of colors to paint with. It seems to me that they spent more time adding in “stamps” and silly GIF style animations before giving a lot of options for artwork. But, It is a very old program, so it isn’t completely rate-able for that. The only other games / not games on the NES are Color a Dinosaur which is just terrible, and Tiny Toons cartoon Workshop, which is similar but not the same. If you were a kid and wanted to make art on your nintendo this is a pretty cool feature. Not as good as Nintendo’s Later release of Mario Paint on the Super Nintendo, but not completely terrible either. If you watch the video play through I did. I rate the game as bad, because in this day and age. It’s pretty bad in a worthless sense of the word. But, back in the day, this would have been a neat way to make some artwork. And since this is the only Rate-Able area for the game it doesn’t score too bad at the end of the review. Again this is not a game, and like I said the only things to compare it to are Tiny Toons Cartoon Workshop and Color a Dinosaur. These two titles are also not games, but aren’t fun in this day and age either. But, I’ll get to those two at a different period of time. I know I am still using my 4th category The Game ‘Over’ All, but since this isn’t really a game. I’m rating it more on Accessory title. There are tons of accessories on the NES that are just awful, and beyond awful. Cool thoughts if they would have functioned properly, but most of them do not work at all, or work so poorly you give up. And, Like I said, it doesn’t score bad at the end of the day.. It does work pretty well for what it is in comparison to some other things. #reactflix now on Bad or Rad Reviews! Felix the Brett on Hey everyone! Wario Van Peebles on Hey everyone!